My favorite thing about fashion is that you can change your outfit to reflect your mood or your style for that day. Playing with clothes should be just that-- FUN! Even if later on you end up realizing that your outfit looks ridiculous, who cares?! You can wear a different one tomorrow. Plus, unless you mess up, you won't learn what works and what doesn't. i LOVE the outfit with the dot sweater and also the one with the pink pants. all of your outfits are just so work friendly! I want that Chanel purse so bad!! I agree, I think you have to try some fashion risks before you really figure out if it works for you. I try to be that way with my fashion choices, but most times I think I'm too afraid to try and end up sticking with the same old things. These outfits are great, though! I think my favorites are the 2nd, 4th, and 5th ones, especially the brown boots and the polka-dot sweater. Fabulous! And they all look great on you. Love your outfits! You have super cute style!! Just followed your blog, hope you follow my blog! Love your outfits!! I agree it's easy to add different accessories or a different piece of clothing (say pants instead of a skirt) and it looks different!! The peplum with the button up is a fun combo. And I totally wanted to wear a similar outfit to the last one today but it was too cold! 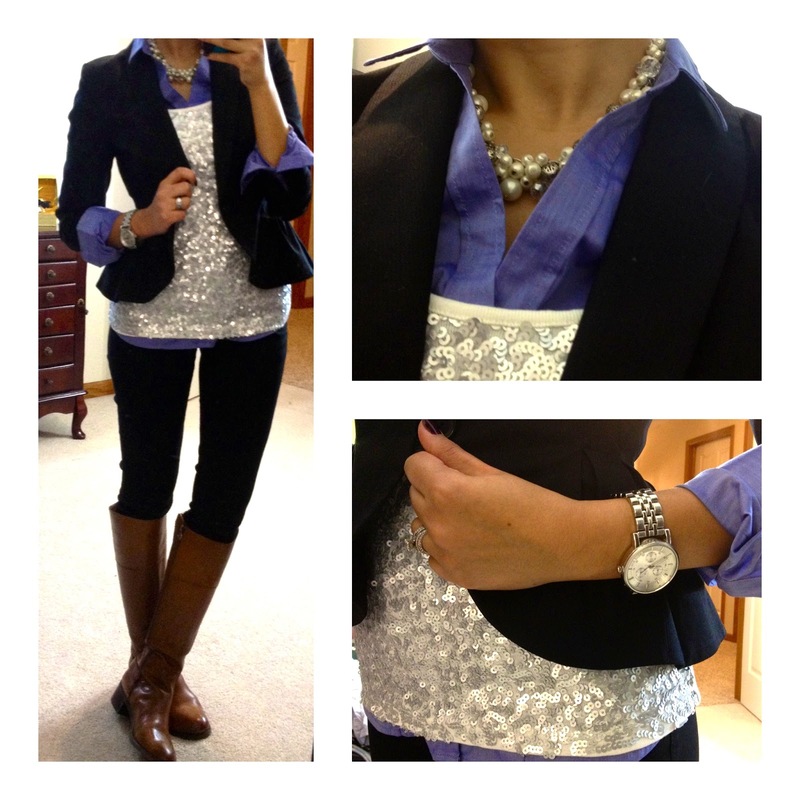 I went another direction, but I will totally be doing the sequin tank/chambray/blazer soon! Ooo I love the sequined tank over the button down, cute look!! Hi Yasi! I love your blog so much it is truely a work of art. I would like to feature you in my 'Favorite Blogs of January'. Would that be okay? 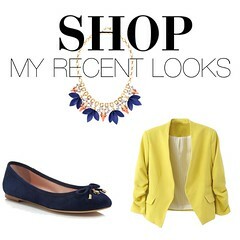 You can contact me at annika0016@gmail.com My blog is styleforlessbyannika.blogspot.com I would love to hear from you. Thank You! I LOVE all of these!!! You put together the most gorgeous outfits!!! Once again, you look amazing! You are my inspiration for all my work clothes! i love love love these outfits! I have a blog too and i rarely get the time to get out and do nice photography pictures but i always feel like cell shots aren't the best till i saw all yours, im happy to see that you do it too!! great reassurance, love the blog! I love, love, love the Etienne Aigner Chip riding boots! So, I got a pair myself and couldn't be happier! They fit so well and look so good! You are such a style inspiration, thank you so much for taking the time to do this blog. You must make an impressive portfolio of yours and distribute in different modeling agencies. If any top modeling agencies hires you it would be easy for you to enter into the big world of fashion. I have never been excessively innovative with my own haircuts, yet with well ordered directions readily available,Charlotte Rampling Face Cream I figured why out it an attempt?